Hello Fashionistas! I just wanted to share with you another amazing find that I came across during the Macy’s Friends & Family Sale earlier this year. (PS although the sale is over, I believe the next one occurs in the Fall at some point, so keep an eye out for that!). I was in dire need of a gold watch and since I’ve been wearing gold accents a lotttt lately, I figured that a gold watch would suit my style fabulously. I heard about the Friends & Family sale going on at Macy’s and naturally started browsing. I stumbled across this Marc by Marc Jacobs watch that i fell in LOVE with. BTW, originally $200 and I paid $150! Not too shabby. Considering I was going to purchase a gold watch regardless, I thought…why not buy it now and save $50?! That’s huge. That’s a tank of gas, or two! If you are in the market for a gold watch, or any watch for that matter, I would suggest probing your local department stores for some awesome coupons or seasonal events. Don’t be impatient! I would certainly rather wait a week or two to save money on a pricey purchase, than be impatient and end up spending more! Purchase the Marc by Marc Jacobs watch above, or similar ones HERE!! ‘Tis the season for wearing wedges! Wedges pair perfectly with almost any summer outfit, and they flatter all figures as well. An outfit adorned with a posh pair of wedges ignites instant style, and embraces comfort. The fact that such a cute shoe can efficiently elongate the leg is wonderful. For those who are slightly height-challenged, these shoes are perfect for you, because of the fact that they add inches onto your natural height. In addition, they are extremely versatile in the sense that they can appropriately be worn during the day, yet they can comfortably be worn during evening hours. Good Morning Fashionistas, incase you didn’t know, ITS MAXI DRESS SEASON! Here are some different types of maxi dresses that you can search for in the desired store you wish to shop at, as well as some maxi dress wearing tips. Maxi dresses are the absolute trendiest apparel item that you can wear to a more-than-casual but less-than-formal occasion. For example, last Saturday was my friend’s graduation party, and I wore one of my maxi dresses to the event. Since the dress is cotton, it definitely dresses down the look, however, the fact that it is a dress spices up the femininity, establishing the ideal look. There is only ONE rule when it comes to donning a maxi dress: DO NOT PAIR WITH WEDGES! When pairing this elongated dress with elongated shoes, the look becomes completely warped. The shoes do not compliment the dress (or vice versa), because they both are huge fashion statements that do not work well together. So keep the shoe game simple wearing flat sandals, and you can never go wrong. 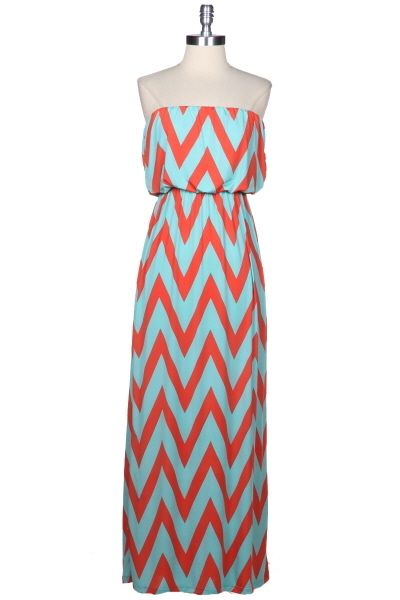 The following are a few different maxi dress styles that are up for grabs under several various brands. Take your pick! I recently purchased a few nail polishes that caught my eye in the store! These colors are essential for every girl’s nail polish collection. The two pink hues are rather similar, but even the smallest color variation definitely makes a difference. The green hues are also necessary for summer, because if you couldn’t tell already, I recently am OBSESSED with green, so of course I had to purchase these two sassy shades. Which one is your favorite?! WE love short shorts!!! 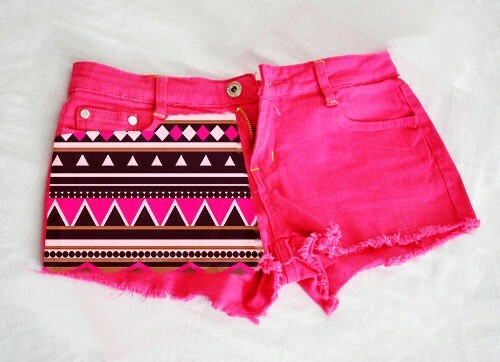 Shorts can be SO fun! They can come in funky prints, consist of shiny studs, be high-waisted, or contain cool colors. Here are some shorts that I am in love with. To construct this list of fabulous shorts, I drew inspiration from my friends, my favorite brands, and Philadelphia street style. Which style is YOUR favorite? So here’s to the official start of SUMMER!!! Happy Memorial Day to everyone and a quick shout out to all of the men and women who continue to support our country! With Memorial Day comes tons of social events, so here are a couple of cute outfits and ideas that you can sport on this fun, yet meaningful holiday! 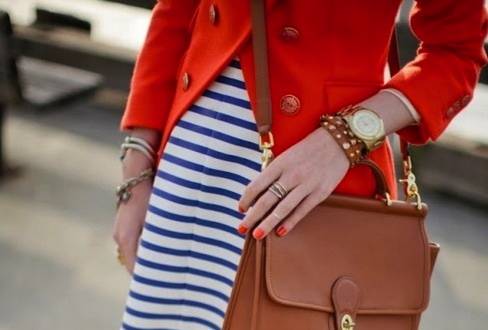 For a classy/preppy look, pair a solid colored blazer with a printed dress for an instant and stylish ensemble. Be sure to make sure your accessories are not too gaudy, because the print of the dress, and the vibrant colored blazer will add enough spice to this look. A few arm candy pieces, along with a bold time-piece, and a classic crossbody bag, instantly pull the look together, and will have everyone gushing over your chic and sassy outfit. This striped crop top is essential for this summer season’s wardrobe. It can be paired with virtually any bottom, and would look especially fabulous with this pair of studded jean shorts below!